We are ready for summer fun! I love a super quick activity that will keep the kids entertained for hours. This Bubble Snake Maker is made with items found right in your home and is a fun activity for kids that is sure to bring on loads of laughter! 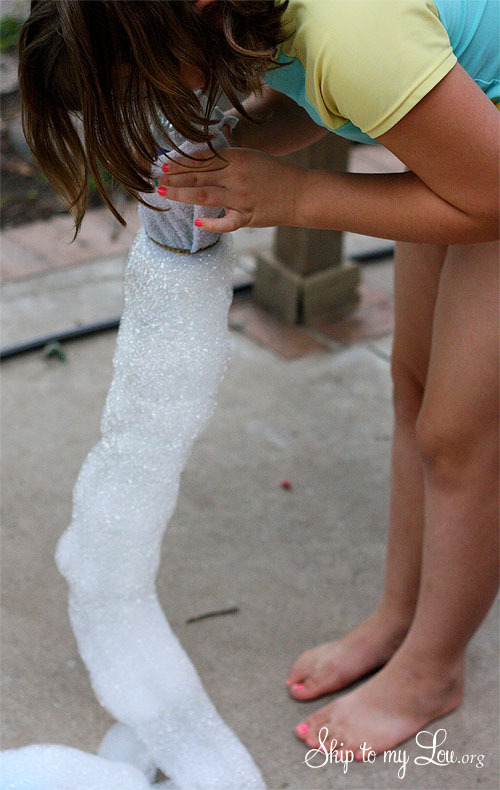 Making bubble snakes would be a great after school activity too! Whenever you are in a pinch and need ideas for fun things to do with kids don’t miss all these kids crafts ideas. 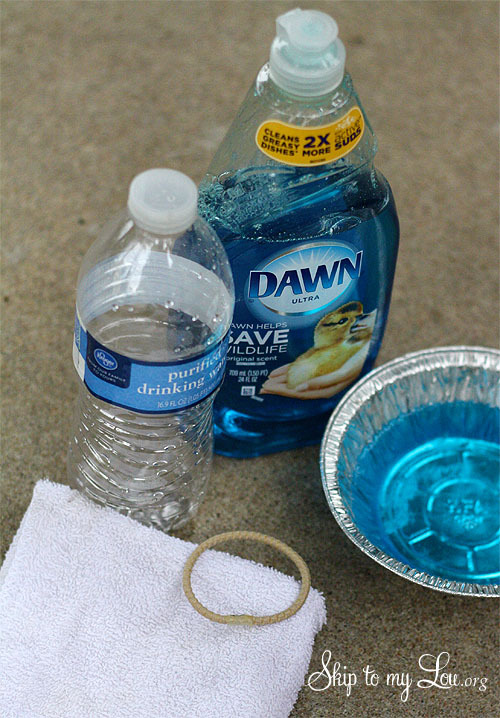 Grab some dish soap, a wash cloth, a rubber band (we used a ponytail holder), an empty water bottle and a small container. 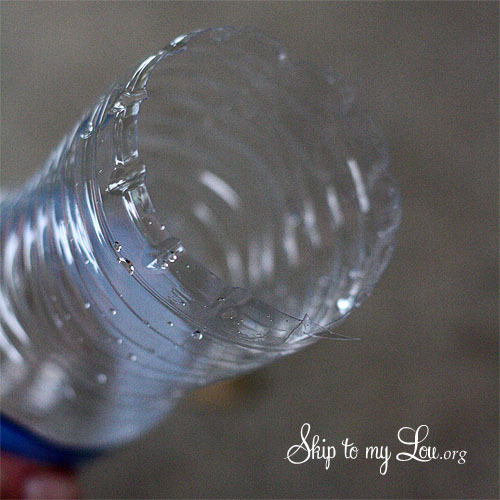 Carefully cut the bottom off of the empty water bottle. A pair of scissors works great. 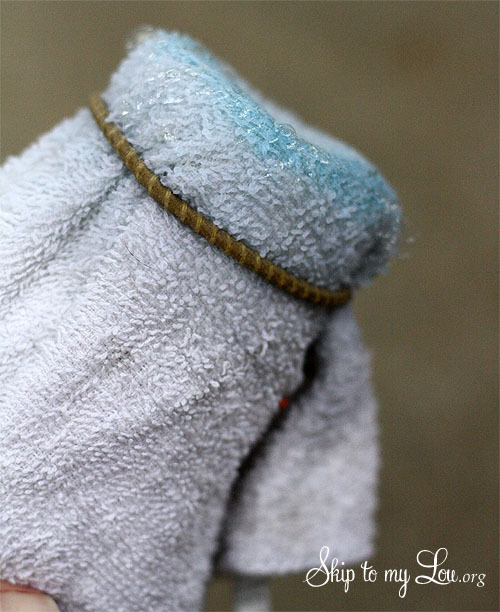 Place the wash cloth over the cut off end of the bottle and secure with a rubber band. Mix about a 1/2 of cup of water with 1/4 cup of liquid dish washing liquid in a shallow container. 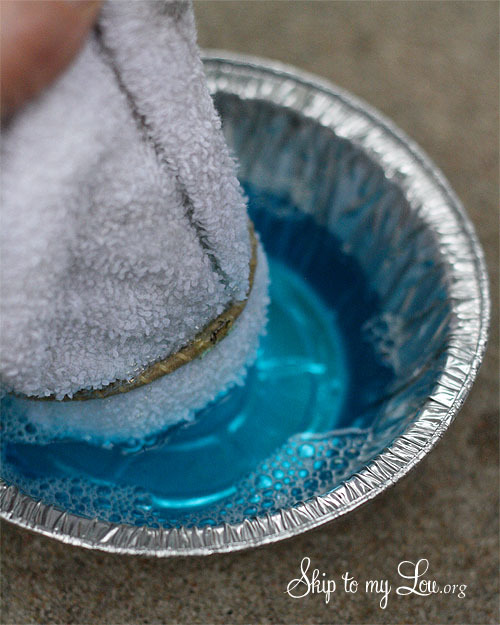 Dip the wash cloth covered bottle into the soap mixture. Remove and allow excess liquid to drip off. Now let the fun begin! 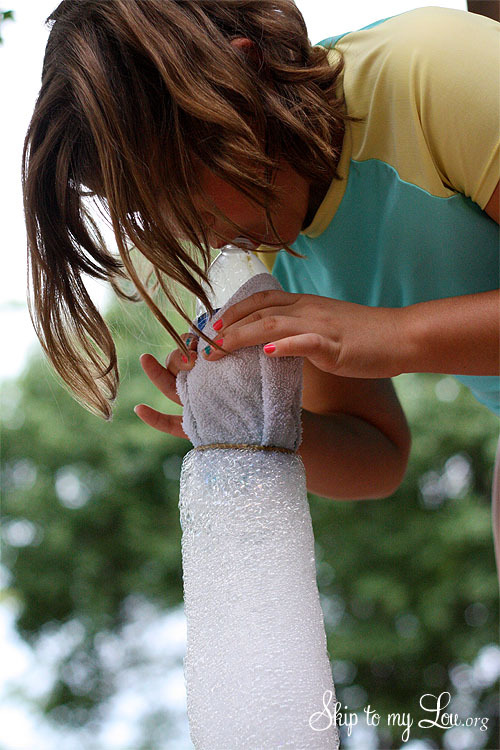 Remove the lid of the bottle and blow through the opening and you will create amazing bubble snakes! 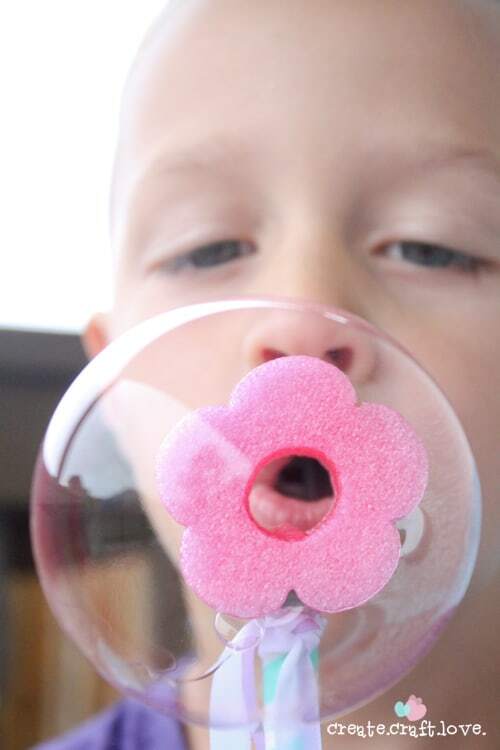 If your kids want more bubbles check out these DIY Bubble Wands.